For years I had an aversion to making my own yogurt because my life already was a bit “knit your own yogurt” and I felt that it was just a step too far… however, when you desperately need 500ml yogurt for tomorrow’s dinner but only have 3 tbsp left there really are only 2 options. Drive 20 miles to buy a tub of yogurt, or make your own. No contest really. And now that I’ve done it and found it to be so very simple, and cheap, let’s not forget cheap in these testing times, I’m certain I’ll be doing it again. – In a small pan heat the milk to 46-49C. You will need a thermometer, my sugar thermometer handily starts at 40C. Or, until you can keep your finger in it for 20 seconds without it burning apparently. – Mix in the milk powder until dissolved and no lumps. – Add your yogurt to a 500ml thermos then, once the milk is at about 46-49C pour in the milk, screw on the cap and shape well to mix. – Alternatively mix the yogurt and milk in a bowl, cover it with clingfilm, wrap it in a towel and put on top of a radiator. – Then leave for 6-8 hours or overnight. 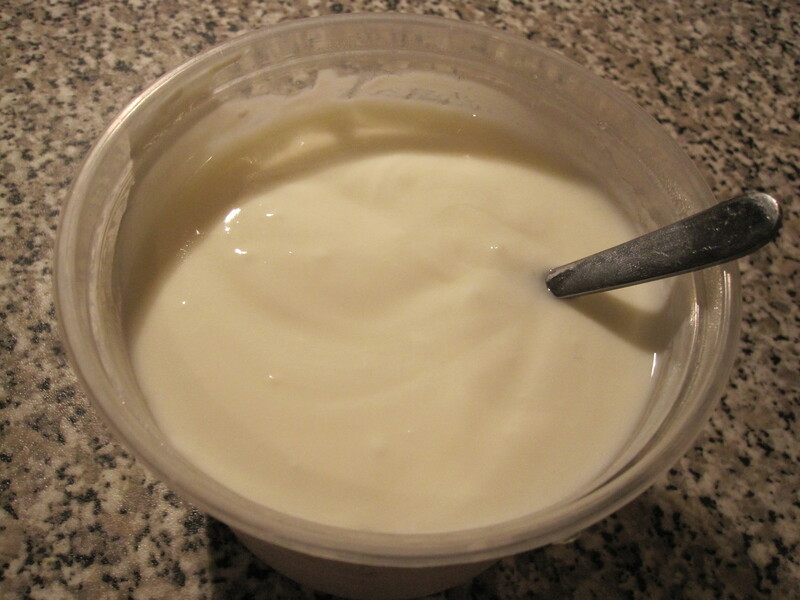 – The next day ip out the yogurt into a container and refrigerate.